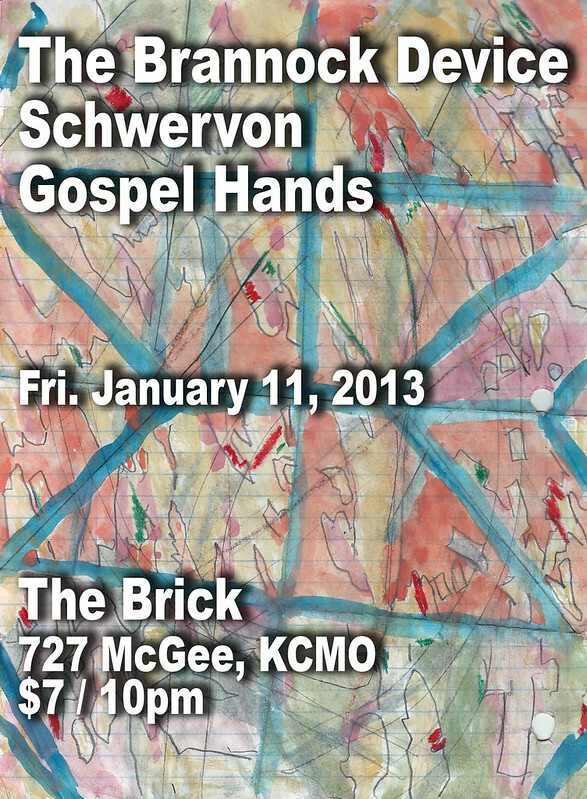 The Brannock Device + Schwervon + Gospel Hands @ The Brick / Fri. January 11, 2013 | Schwervon! This entry was posted in Uncategorized and tagged Gospel Hands, Kansas City, KC local music, Schwervon!, The Brannock Device, The Brick. Bookmark the permalink.